Chase bank offers low APRs and loan amounts of $7,500 to $100,000. Discounts on APRs go to up to 0.50%. The bank does not offer pre approval for the auto loans .Rates offered by the bank depends on your location. Chase bank offers auto loans with very fair APRs and amazing discounts. Our review shows that it earns good rating when it comes to loan versatility. Chase bank is a national bank that has its headquarters in Columbus, Ohio and offers a multitude of financial services. It constitutes of both consumer and commercial banking. The auto loans are very versatile with fair rates. The bank offers checking account holders a 48-month loan of a new vehicle for an Annual Percentage Rate (APR) of as little as 2.38% and 2.49% for a 60-month loan. Used car loans have APRs of 2.89% and 2.39% if a Chase customer discount is placed. The bank offers a 2.69% APR for refinance auto loans which becomes 2.19% after a Chase customer discount is placed. To get the best discount rates, you need to be a holder of the bank`s checking account and have excellent credit. Say, for example you borrow around $22,000 at an APR of 2.49% for a 5-year term, your monthly payment is roughly $390. If however you borrow the same amount with an APR of 4.2% for the same 5-year term, the monthly payment hikes to $407. This is to show that the APRs are very vital for the borrowers. The terms of the loan varies depending on your location. Therefore before proceeding with your application, you should check Chase’s online rate chart and key in your ZIP code to access the information. Applying for an auto loan is simply and easy. The application is online and requires that you submit your address, email address, social security number and phone number. Your employment and income is also verified in the process. Key in the details (make, model, mileage and VIN) concerning the vehicle you wish to buy. The process is very efficient as approval or denial takes a matter of minutes. Other options for applications are through phone or in person at the branch closest to you. The Chase bank representatives are available 24/7 and assure you of great, clear unambiguous responses. Our review has it that it has incredible customer services. 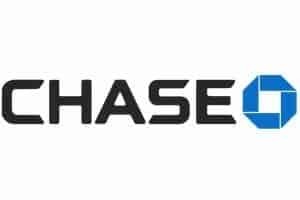 Operating in over 50 countries around the world, Chase bank provides excellent financial services and products to their clients across the world.